The Hugely Popular Japanese Eatery Ichiran Ramen Opens in Bushwick Today! 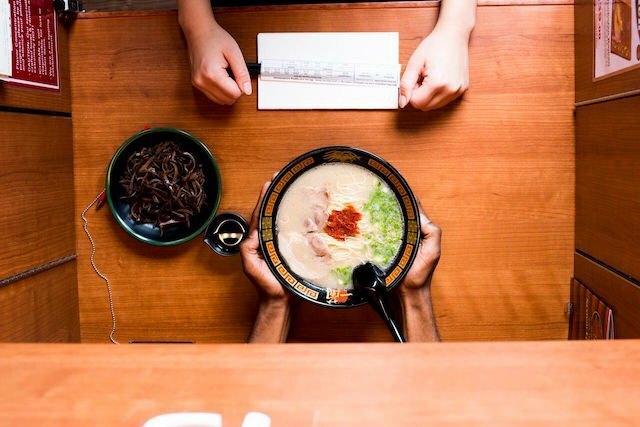 Ichiran Ramen opens today on Johnson Avenue, answering the prayers of all the antisocial noodle lovers of Bushwick. 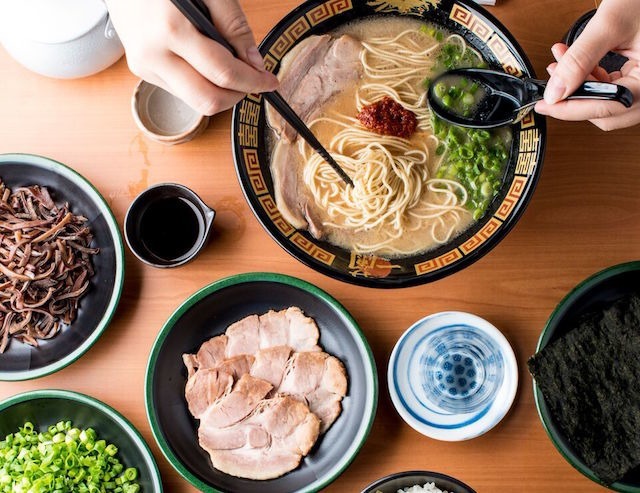 Ichiran Ramen, the hugely popular noodle chain from Japan, opens its hotly anticipated first American outpost today, right here in Bushwick! 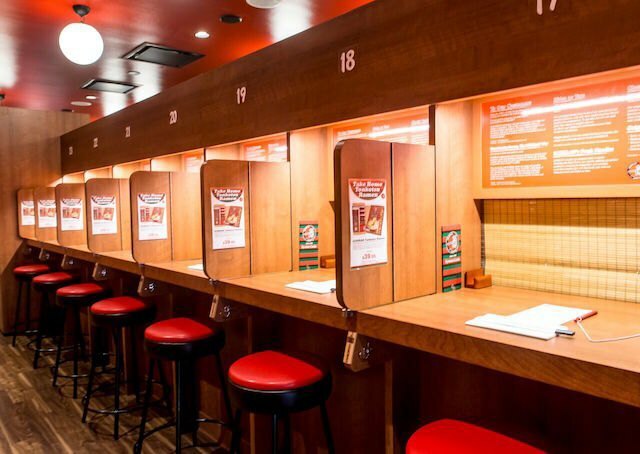 Ichiran has many features that set it apart from the other ramen shops scattered around the city; here's what to expect! Ichiran has 59 locations in Japan and is known for its “no-speaking system.” The restaurant’s Bushwick representative Hana Isoda explains to Bushwick Daily that the intention behind the policy is that patrons can “focus [their] attention on the food in front of [them].” Let's face it, it’s pretty great for those days when you just cannot with your fellow humans and you need a massive bowl of noodles to remedy this. Upon entry, guests are directed to a station via a map with lights indicating available seating. The dining room is essentially a very long table with partitions all along it, creating individual booths. 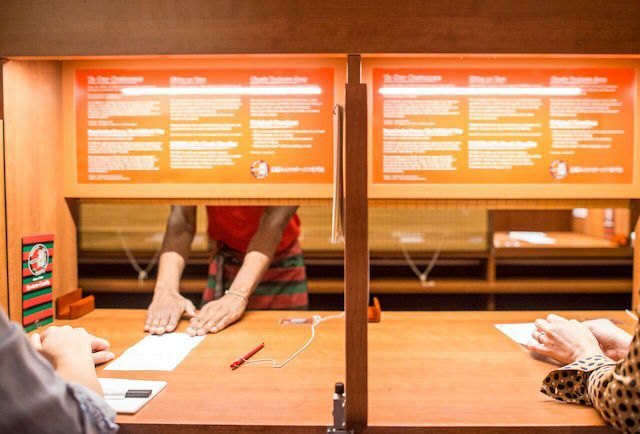 In each booth, there is a menu, a pen, and a call button facing a set of blinds, behind which the staff prepares the dishes patrons check off on their menus. Ichiran's signature tonktotsu ramen bowl costs $18.90. This may seem steep, but keep in mind that this is a no-tip establishment. There are seven different customizable categories, such as spiciness, richness, and noodle texture. If you are feeling social, there is a separate section of the restaurant with group tables, which are more like a traditional restaurant dining room, which also serves a more extensive beverage menu featuring sake and soju. At the Bushwick Ichiran and at all future locations of the restaurant, management will “maintain the authentic quality, taste, and concept as it is in Japan.” An Ichiran production kitchen is located directly next to the restaurant and can accommodate supply for up to ten restaurants within three hours of this facility. Ichiran plans to feel out where demand is to create additional locations as this location's reputation gets established. Judging by the size of the production facility, it seems that further NYC locations are definitely in store. Ichiran opens today at 11 a.m. at 374 Johnson Avenue. There will be a grand opening ceremony, and Ichiran will uphold its tradition of presenting an exclusive gift to the first few customers. Bushwick, go get your ramen on! A Japanese ramen chain serving a minimalist menu and a solo dining experience. 374 Johnson Avenue between Ingraham Street and Meserole Street (off of the Morgan Avenue stop on the L train). Mon-Sun from 11:00 a.m. to 11:00 p.m. Follow Ichiran Ramen on Facebook, Instagram, and Twitter. All photos by Rebecca Fondren and courtesy of Ichiran Ramen.